The ink is barely dry on the Paris climate agreement and the debate has already started on how the deal will affect the future of fossil fuels, particularly coal. Following the deal on Sunday, the mining industry has responded that Australian coal will remain an important provider of affordable energy to developing countries. The industry argues new low emissions technologies will keep coal in business as the world cuts carbon. The agreement aims to limit global temperature rise to less than 2℃, with an aspiration of 1.5℃. So what is the future of coal in a world that meets these temperature limits? Who’s going to build the new coal infrastructure? Keeping warming “well below 2℃ above preindustrial levels and pursuing efforts to limit the temperature increase to 1.5℃” essentially means all new electricity generation from now on must be zero emissions or have a short amortisation life. Current emissions-intensive generation will also have to be phased out in line with the end of its initial design life. Most coal in Australia is mined to be exported. For Australian coal exports to continue to play a significant role in our balance of trade, we must have international customers. Australia produces both thermal coal for electricity and metallurgical coal for manufacturing, which is exported mainly to countries in Asia. Some of these customers, such as China and India, have their own coal production sectors, which produce significantly more coal than Australia. Others, such as Japan, are completely import dependent. Whichever way the coal is used, it will add to the amount of greenhouse gases in the atmosphere unless these emission are captured by carbon capture and storage (CCS) technologies. The infrastructure that will power our international customers’ electricity grids, steel and cement plants in 2050 largely hasn’t been built yet. In a less than 2℃ world, all of this infrastructure will have to be close to zero emissions. In a 1.5℃ world, any remaining emissions will have to be offset. This means that if our customers decide to stay with coal, they will have to replace their existing infrastructure with new infrastructure incorporating carbon capture and storage, and even further offset emissions for a 1.5℃ future with the use of biomass. It’s clear that China has already opted for an anything but coal policy. The policy future for India is not so clear, but they are clearly planning to be more self sufficient in coal production regardless of climate objectives. Neither of these look good for the future of Australian coal exports in either the short or long term. The Australian coal export sector is threatened by both the rise of competing technologies and other suppliers. Competing technologies in the electricity generation space are numerous and include nuclear as well as a swathe of renewable energy technologies that are becoming cheaper and more practical. It’s clear that carbon capture and storage technologies have failed in the current competition environment as a cheap alternative to the other low and zero-emissions technologies such as renewables. Coal has rapidly ceded ground to gas, wind, hydro and solar in key markets such as the US and China. The long-term outlook for coal for electricity then, is shaky at best. Australia is competing for market share in a shrinking market. The International Energy Agency report quoted by the Minerals Council for a rosy coal future is very clear that the modelling is based on the continuation of pre-Paris trends rather than the Paris agreement. Even the well-trodden claims that intermittent renewables can’t supply the baseload power normally supplied by coal are looking flaky. Energy storage in the form of batteries in particular is rapidly getting cheaper and building in production capacity. A number of different battery types including lithium ion, sodium ion, aluminium ion and liquid metal batteries are all in development with on grid storage markets in mind. The outlook for metallurgical coal may be more promising, simply because there are fewer technologies to compete. Coal is used predominantly in blast furnaces to convert iron ore into metallic iron. Blast furnaces use coking coal to hold iron ore in place, while cheaper Pulverised Coal Injection (or PCI) coal is used to remove oxygen from the iron. PCI coal can be replaced by charcoal from plants, reducing emissions by 18% to 40%. But there’s no current replacement for coking coal used in a blast furnace. The Hismelt process from Rio Tinto can convert iron ore to new iron without the need for coking coal. But this technology is in its commercial infancy. Should we rely on the Australian coal industry? The coal industry has played an important role in the development of Australia as a modern industrialised economy. It has formed the basis for energy security in the Australian electricity sector and our domestic steel sector. In more recent times, coal has been a major export commodity for Australia and has also powered the export-focused aluminium sector. Despite all of these great achievements, it’s hard to see a long-term positive future for the industry in a global marketplace looking for competitive solutions to their 2℃ and 1.5℃ needs. Innovation is borne of constraint however, and it will be good for all of us if carbon capture and storage could be made cheap enough and deployable enough for widespread use. There are reasons for pursuing this technology besides coal. Carbon capture and storage can be combined with bioenergy in the form of BECCS to develop one of the few large-scale ways in which we may actively remove greenhouse gases from the atmosphere. Given the likely demise of this substantial national export industry over the next few decades, we would be wise to think about what other innovative opportunities we can draw from the sector while it still has scale. Our coal miners are in the energy industry, but we would be foolish and simplistic if we think the only replacement industries emerging from coal is renewable energy. We have a coal export industry simply because we have an area of natural advantage in coal i.e. high quality coal resources with rail and port access. We are yet to identify an equivalent area of natural advantage in renewables that could power a similarly scaled export industry. Yes we have sun and wind in abundance, but there is no real mechanism yet to export that to an international market. But all is not lost. Mines are large consumers of energy and technology resources and have management responsibilities for significant tracts of the Australian landscape. With the right guidance and incentives, the industry may yet lay the foundations for a sustainable legacy for our national economy and local communities in exportable products such as an innovative approach to professional services, transport technology and high intensity food production. Gary will be on hand for an Author Q&A between 10 and 11am AEST on Wednesday, December 16, 2015. Post your questions in the comments section below. Was it Confucius who said it’s a funny old world? If he didn’t he might well do so now. Having spent part of the last couple of weeks trying to breathe in Beijing, one can’t help but be struck by the remarkable contradictions – as the Marxists used to say – that characterise global politics these days. Despite the dangerous levels of pollution that are currently affecting some of China’s most important cities, its government is currently enjoying unaccustomed praise in Paris for its more constructive-looking approach to the international climate talks. Without wanting to add too greatly to the inflated rhetoric that surrounds these discussions, it’s not unreasonable to suggest that our collective fate really does hang in the balance. That’s why China is so important. As it demonstrated in Copenhagen, little of consequence will happen if China is not on board. Not only is China famously the biggest contributor to the problem, but it’s also actually doing the most about it – despite all the unbreathable evidence to the contrary. Few governments can command policy change in quite the way China can if that’s what its authoritarian leaders decide to actually do. And yet when I put it to a group of smart, well-informed Chinese scholars that Australia’s greatest contribution to the problem of global warming (and pollution) might be to simply stop exporting coal, they smirked knowingly at my naivety. China would simply replace Australia’s “clean” coal with its own dirty variety or source their seemingly insatiable demand from some less scrupulous supplier. This is not to say that China is not making an effort. On the contrary it is. China is collectively (and encouragingly) the largest investor in renewables in the world. And yet its citizens frequently live in a noxious cloud of poisonous gasses that are condemning them to an early grave. At times like this I wonder why I ever bothered to give up smoking. Rather alarmingly, China is not the worst offender. India – the other economy that sends the “international investment community” giddy with anticipation at the thought of all those development opportunities – has just announced that its use of coal will actually double by 2030. Thanks to China’s much-criticised one-child policy, India is also about to overtake the Middle Kingdom as the world’s most populous polity. Providing jobs and energy for a rapidly expanding workforce is likely to take precedence over concerns about the long-term impact of C₀2 emissions and any notion of international responsibility and solidarity. Despite the apparent evolution in China’s thinking about the possible impact and importance of climate change and pollution, therefore, it is far from clear that this will be enough to achieve the sort of immediate, rapid action that is required to stabilise global warming. The divisions between north and south, rich and poor that proved such obstacles at Copenhagen may not be easily overcome this time around either. No doubt the coal lobby will cry foul about demonising a single commodity that undoubtedly provides cheap energy for developing countries. But the fact is that coal epitomises all of the challenges and – yes – contradictions that threaten to make the planet unlivable. If we can’t do something about the most egregious and visible forces that are poisoning the planet, what hope is there? Despite the uplifting and thoughtful commentary from some of the brightest minds in the country on these pages, the answer increasingly looks like: not a lot. There really is an implacable logic about significant population growth, especially when symbiotically linked to a developmental and social model that continues to rely on economic growth. It is generally considered rather poor form and defeatist to be negative and pessimistic about our collective prospects. Believe me, I would much rather be writing some optimism-inducing commentary on the ability of our leaders to transcend narrow national interests in pursuit of the common good. Sadly, I fear the message has to be: don’t hold your breath – unless you’re in Beijing, of course. While all of us of will experience the effects of climate change most are not facing the inevitable disappearance of our country. 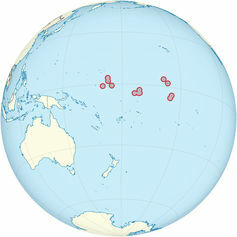 Yet that is the case for the 92,000 inhabitants of Kiribati, as well as other low-lying island states across the planet. With its nation dispersed over more than 20 islands, some increasingly subject to ocean flooding, the Kiribati government has purchased land in Fiji to relocate some of its inhabitants. Over the coming century Kiribati, along with every other maritime region, faces rising seas driven by oceans expanding as they warm, and by melting ice sheets and glaciers. Ahead of the Paris climate conference, which begins on November 30, Kiribati’s president Anote Tong has issued a call for a moratorium on new coal mines. On his recent visit to Melbourne I spoke to President Tong about the prospects for Kiribati in a warming world, and efforts to mitigate the worst impacts. 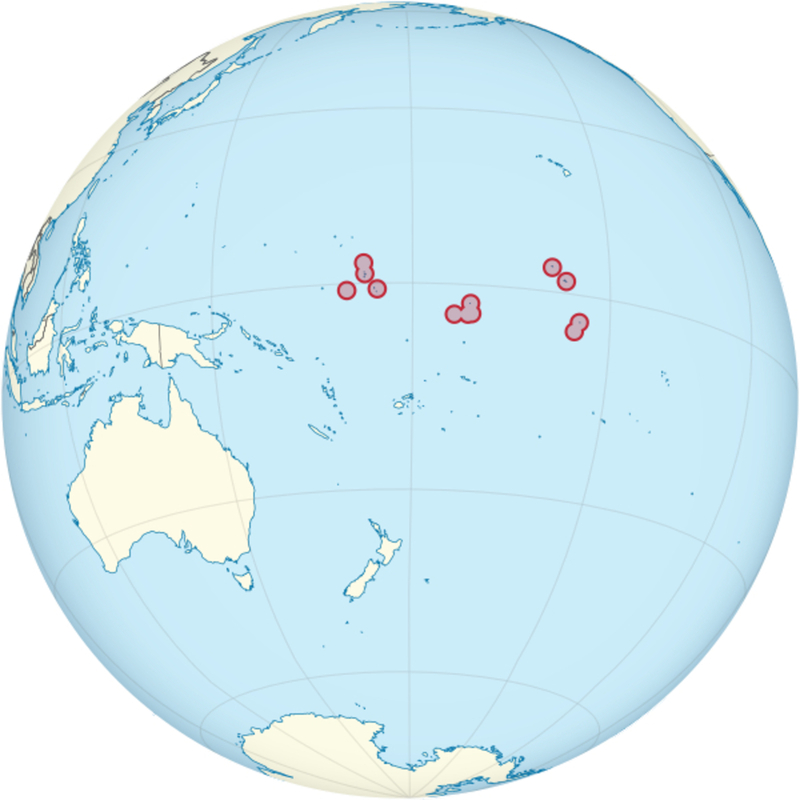 Kiribati is a group of more than 20 islands in the Pacific Ocean. President Tong related that his call for a coalmine moratorium has had a sympathetic hearing from US President Barack Obama. He and former Australian Prime Minister Tony Abbott talked amiably but (at best) agreed to disagree. As yet, he has been unable to meet with Abbott’s successor Malcolm Turnbull. What impressed me particularly is that, just as indigenous Australians relate to the land, President Tong was deeply passionate that the islands of Kiribati are the ancient, ancestral home of his people. President Tong however is under no illusion that anything will happen quickly when it comes to weaning the world off coal. He points out that coal-fired power stations will be needed in the medium-to-long term to heat the colder northern countries. There are several hurdles to cross in the transition away from fossil fuels. While 100% renewable energy may be possible, nuclear fission reactors may be needed as part any low carbon, coal free future for Europe, at least in the medium term. Nuclear generation has long dominated the power sector in France. Germany has made enormous efforts with renewables but they are (following the Fukushima disaster) using more coal as a consequence of phasing out nuclear, a move many climate scientists consider to be irresponsible. China and South Korea are aggressively expanding their capacity for nuclear power generation, though China is also continuing to build coal plants. Still, some nation states are determined to kick the coal habit as soon as possible. The UK has committed to closing its remaining coal fired plants by 2025 and will, instead look to nuclear, natural gas and renewables. The UK has long used some nuclear power, and there have also been innovative moves towards renewables and the use of domestic waste for the local co-generation of heat and electricity. And, as is the case for us in Australia, their coal-fired plants are old and in need of replacement. When it comes to renewables, Australia has the advantage of being a massive solar and wind collector, with 23 million electricity–hungry humans versus 63 million in the UK. We have plenty of coal seam gas, although the concern here is that the leakage of methane (CH₄) from poorly-maintained wellheads negates its 50% (in CO₂ emissions) advantage over coal. However piped gas is much more efficient for local, small scale “trigeneration”. Are we willing (or do we need) to open out the nuclear discussion here? It would be great to see a national debate on energy generation with everything on the table. Hopefully, the national dialogue may improve somewhat when the dust settles following the next federal election. Coal might to some extent be saved by carbon capture and storage (CCS) but, even if the local geology is right, this is only likely to happen if an appropriate price is placed on carbon emissions. A direct carbon tax may work better than cap and trade schemes though, for political reasons, the latter (or some variation) may now be the only possibility in Australia. And, if there is a realistic versus a token carbon price, how does the economics of CCS rate against renewables and storage? Talking with President Tong, he had no illusions concerning either the morality of national governments or their independence when it comes to legislating against the perceived self-interest of extraordinarily wealthy, and often globalised, vested interests, particularly fossil fuel companies. But, as Australian citizens have the enormous privilege of being able to debate and to vote in an open and democratic nation state, shouldn’t we be addressing the issue of possible consequences of our energy consumption and fossil-fuel export economy? Apart from the possibility of taking the wrong direction and focusing on what will inevitably be stranded assets, what will the liability situation be for the mining companies, the coal exporting nations and their leaders and citizens if the consequences of global warming are as dire as predicted? BHP Billiton is facing ongoing costs over the collapse of its local joint-owned tailings dam in Brazil. Global warming threatens unprecedented damage on a global scale, including the loss of small, vulnerable countries such as Kiribati. How should we account for the responsibility of rich nations such as Australia? Perhaps we will see accountability similar to the reparations exacted from Germany after the First World War, or even more severe costs. The concept “think globally, act locally” has been attributed (in 1972) to New York microbiologist René Dubos. That accurately describes the reality of actions that might limit the impact of global warming. One thing we can do locally is vote. Australia is a basically decent country. Few Australians would surely wish to see themselves as acting against the best interests of future generations. But we are known by our actions. We need a broad and informed debate on what we can do to limit global warming and, in the process, ensure our own longterm well-being. Can we seize the future with all its possibilities, or must we be locked into an ultimately unsustainable pattern of repeating the past?